If you have the guts to go in, we'll get you out! In confined space entry and confined space rescue situations, your safety equipment must operate quickly and flawlessly. That's why 3M developed an extensive line of high quality, rugged rescue and retrieval systems that meet a variety of confined space safety needs, plus offers customised solutions. Our confined space safety systems have delivered decades of trusted service and meet applicable industry standards, so it's no surprise that our confined space equipment is the first choice of safety engineers and site directors. 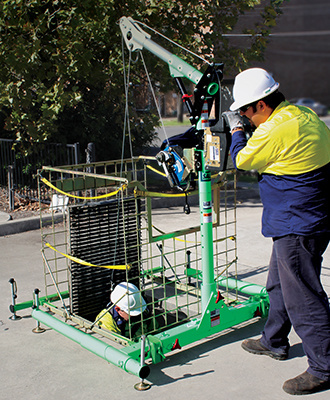 Confined spaces vary in size, shape and location and there isn't a standard or typical application. 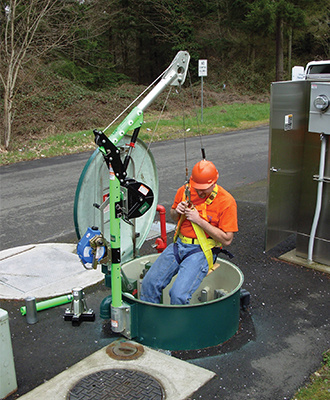 A confined space safety system can usually be divided into either a "vertical" entry type system or "horizontal" type. 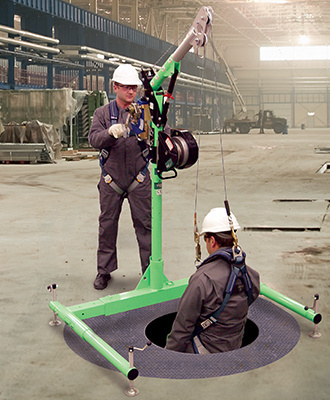 ​Confined spaces vary in size and​ shape and your confined space system must be adjustable and adaptable. Pay close attention to the maximum and minimum hole sizes the gear can accommodate, and choose a system that can be flexible. 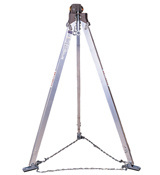 One-piece tripods are extremely easy to use and set-up and fit a variety of applications. Multi-piece davit systems may be a bit more complex, but also offer more versatility with various arm sizes, portable and permanent bases. Your system must be rated for your application, such as fall arrest, rescue, man-riding or material handling. Choose one that maximises strength and minimises weight.​ Versatility in this area is often a high priority so your system can accommodate different scenarios that may come up today and tomorrow​. Rugged systems will provide top performance when it is needed the most. The Rebel™ retrieval self retracting lifeline (SRL) is built to last providing an economical fall protection and rescue solution without compromising performance or safety. It is ideal for a construction sites where rescue of a fallen worker is needed, or for confined space entry and retrieval applications. A better way to safeguard your workers! PenoGuard™ is a revolutionary safety device that will dramatically increase the safety of workers that need to work around penetrations. 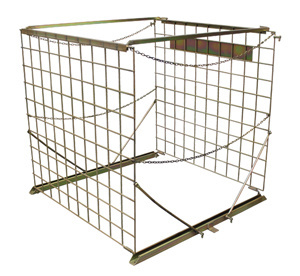 In the closed position it serves as a cover for access holes eliminating any risk of falling through, in the open position it acts as a four sided guard rail allowing easy access to the penetration while protecting workers and bystanders around the hole. 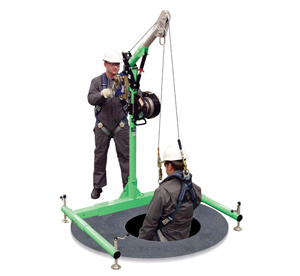 Designed for manhole and confined space entry/retrieval applications! These units are constructed of lightweight materials including high-strength aluminium. The Davit pivots for ease of rescue and has an adjustment for overhead clearance restrictions. The lower base adjusts to fi t most standard entries. A range of bases and masts are available.